 The editor-in-chief, editorial council and editorial board (further – the Edition) online media «Management of education: the theory and practice» carry out the activity within the current legislation of the Russian Federation. The Edition adheres to the standard international standards and codes on publishing ethics (COPE, etc.) and makes efforts for their full compliance. The Edition places requirements to execution of articles, rules of the direction, reviewing and the publication of articles on the Edition website www.kursobr.ru. In the activity edition is guided by the principles of reliability, the scientific importance and relevance of the published articles. The Edition undertakes not to open information about submitted articles to anybody, except the corresponding authors and reviewers. The Edition carries out work on providing and improvement of quality of the published materials, has the right for editorial changes of articles. The Edition has the right to reject the publication of article with signs of slander, insult, plagiarism or copyright infringement. Based on results of verification of articles on plagiarism, regarding implementation of requirements to registration and by results of reviewing, the Edition makes the decision on acceptance or a rejection of publications. The Edition chooses the reviewers independent concerning the materials considered for the publication, having sufficient experience and which don’t have the conflict of interests. The Edition keeps confidentiality of personal data of reviewers. If article, according to the Edition, doesn’t meet the requirements of edition, then the Edition has the right to reject it without carrying out reviewing. The Edition guarantees that articles rejected from the publication won’t be used in own researches of members of the Edition without written consent of the author. The Edition has the right partially or completely to provide materials of scientific articles in the Russian and foreign organizations providing indexation of scientific publications and also to post these materials on the Edition website. The Edition undertakes to review quickly each complaint for unethical behavior of authors of articles which are under consideration or already published, irrespective of time of their receiving, undertakes to undertake adequate, reasonable measures concerning such claims. In case of confirmation of arguments of a claim, the Edition has the right to refuse the publication of article, to stop further cooperation with the author, to publish the corresponding denial and also to take other necessary measures for further suppression of unethical behavior of this author. The author guarantees that article presented to the Edition is original, wasn’t published earlier and isn’t under consideration in other editions in her form, present or close on contents, is reliable, i.e. doesn’t contain obviously wrong or forged statements. Authors provide in the Edition article for the publication prepared in strict accordance with the requirements to execution of articles posted on the Edition website www.kursobr.ru. The materials borrowed other persons when writing article have to be issued with obligatory instructions of the author and the primary source, are specified in the bibliography to article. The author has to be acquainted with the borrowed materials. The list of authors of article has to include all persons which have made the significant contribution to researches. It is forbidden to specify the persons which haven’t made a contribution to work. Authors have to open the conflicts of interests which can affect assessment and interpretation of their article and also sources of financial support of the project (grants, state programs, projects, etc.) which have to be without fail specified in article. Authors are obliged to notify immediately the Edition in case of detection of a mistake in any article served them on the publication, adopted for the publication or already published and also to assist the Edition in correction of a mistake. In case the Edition learns about a mistake from the third parties, then authors have to eliminate immediately an error or provide proofs of her absence. The rules of the legislation on protection of copyright have to be respected by authors; the materials protected by copyright can be reproduced only with the permission of their owners. Actions of the reviewer at implementation of scientific examination of article have impartial character and guarantee carrying out confidential, independent and objective reviewing. Assessment of the reviewer has to be reasoned. The personal criticism of the author is unacceptable. The reviewer has to have sufficient experience and not have the conflict of interests because of competitive or other relations with the author or the organization concerning article. The reviewer is obliged to notify the Edition in case of detection of the circumstances interfering formation of fair and impartial assessment of article. The reviewer is forbidden to use the unpublished data obtained from articles submitted to consideration for the personal purposes. The expert assessment of article provided by the reviewer promotes adoption of editorial decisions and also helps the author to improve article. On the basis of results of reviewing the Edition makes the decision on the publication of article, return to her author for completion or on her deviation. The reviewer has to submit the review within the time frames specified by the Edition. If consideration of article and preparation of the review in these terms are impossible, then the reviewer is obliged to report about it immediately in the Edition. At detection by the reviewer of essential similarity or coincidence between the considered article and earlier published other work, he is obliged to report about it in edition. To reviewers it is told what requirements are imposed to them and also information on any changes in editorial policy is provided. The reviewer has no right to use materials of unpublished article in own researches without written consent of the author. The reviewer is obliged to refuse consideration of article in connection with which he has a conflict of interests because of competitive, joint or other relations with the author or the organization concerning article.